Stealing a spaceship shouldn’t be this easy. Avalon is on a lot of people’s most anticipated books for this year, and I can say that I am almost certain that most people will end up really enjoying it. Science fiction is my favourite genre, and Avalon is packed full of space-y goodness. You sci-fi fans should definitely give it a go, and even if you’re hesitant towards the genre, you should know that it’s not necessarily the sci-fi element that makes it fantastic. Sure, it’s set in space and there are spaceships, but the most important part of the plot is the family part. The action is pretty good too. 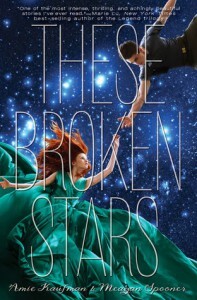 Avalon reminds me a lot of These Broken Stars in that way that it pulled me into the story. I was sucked in right away, and I especially enjoyed the fact that there was minimal romance, and more teenage criminals. I don’t know about you, but thieves/pirates will always be my downfall. Avalon is packed full of action, and I found it to be a hard book to put down. There was so much going on without having the relationships being overridden. There were gun fights, impressive escapes, some exploring… it was all going on and I loved it. There was even a twist that I didn’t see coming, even though now that I think about it it was totally obvious, in an “in plain sight” kind of way. Those are the best kinds of twists because they mess with my brain. The romance, as I said, wasn’t a huge focus. It took a back seat to the overall theme of family, and I really appreciated that Mindee Arnett did that, especially in a space adventure. 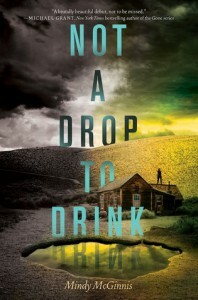 I thought that the romance was a bit rushed for my liking, and I didn’t feel any chemistry between the two characters. While I really liked them both individually, I didn’t see any chemistry or connection there. I am a fan of slow relationships, though, so almost everything is too fast for me. Jeth was a really good main character. I enjoyed reading about his backstory and his inner conflict when it came to making decisions for the group of teenagers that he travelled with. We also got some brief history on the other characters that he was with, and I hope to see more of them in the sequel because they all have a story to tell, I’m sure. 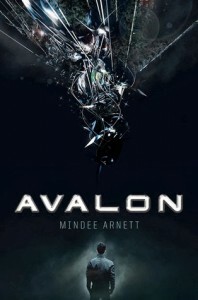 Avalon was a very engaging read, and it definitely made up for Arnett’s less than stellar debut, The Nightmare Affair. 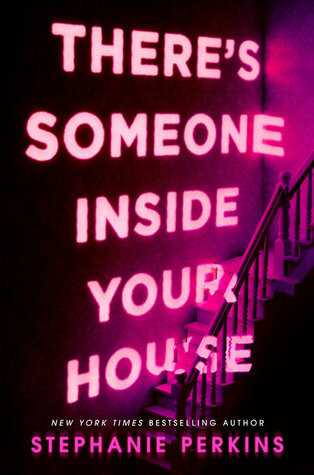 I had a lot of fun reading it, and it’s exactly what I needed when I was in search of something that was action-packed, but with the underlying theme of family and friends that I so often seek out. I was very much anticipating Avalon. I was so happy I was able to read it and enjoyed most aspects of the story. I was hoping for a bit more suspense during the main story arc but I think that overall it was entertaining. So happy that you enjoyed it and found it hard to put down. I’m with you though, I didn’t feel any chemistry but I’ll be reading the next installment. Great review! I agree, a bit more suspense would have been appreciated. And chemistry! I find it hard to find a good ship in YA right now though. I don’t know why, but I’m just not feeling most of the romances. Thanks, and I’m glad you enjoyed it! Most of the characters that I read about lack chemistry nowadays, so don’t be too put off! Haha. 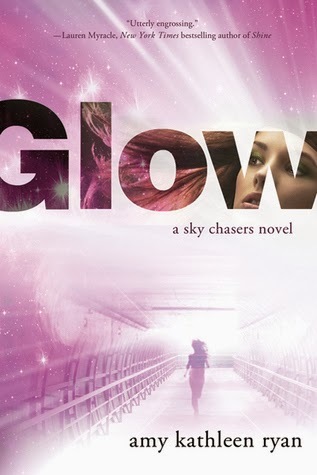 I love that you’re getting into sci-fi, I’ll be able to recommend so many books to you! 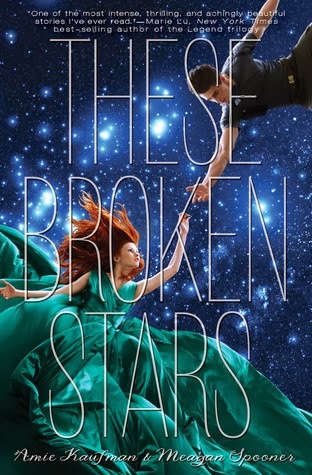 You compared this to These Broken Stars AND said that the focus was on family – I’m sold! Oh hey! Someone else who liked this. It didn’t remind me of TBS at all, but that’s a good thing bc I’m still bristling about having to black sheep that one. Sigh. It happens to us all though. BUT this book. It reminded me of Firefly and Cowboy Bebop, which is automatic win even if the characterization/romance were pretty paltry. I totally agree with everything you said and yet I just didn’t get into this book. Probably because characters are the most important thing to me. But the action was awesome and I also hadn’t seen the twist coming (always bonus points for that). And yeah. I actually forgot a lot about this book already and I only read it two weeks ago. I think something is wrong with me.